If sitting in a stuffy office with a stranger who you pray inputs your numbers correctly is not exactly your idea of a good time then I may just have the solution for you. In all honesty, I haven't had a negative experience filing my taxes until this year and oh boy did this "oops" make up for lost times. After scrambling to connect with the person who filed my taxes incorrectly I thought to myself this should NOT be such a headache. After my tax preparation service nightmare I fell upon this newly released service– TaxChat – that matches you with a tax expert to help you file your taxes right from your phone! Still confused? 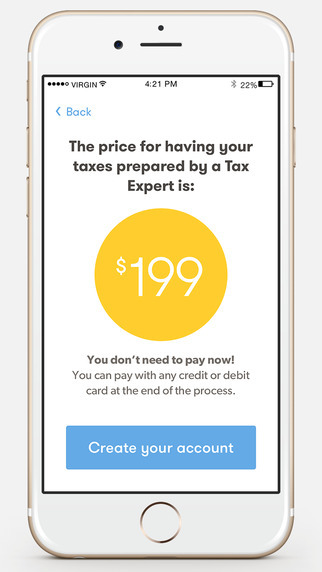 Think Uber for your taxes * light bulb goes off * everything you need to know is below. I hope this post serves as an Advil for your tax game. Thank you, Chelsea. Unfortunately, your negative tax preparation experience is the rule rather than the exception. Millennial misses like yourself – and millennial misters – have had similar negative experiences with tax preparation firms and do-it-yourself tax software systems. We built TaxChat to offer an alternative to these old-fashioned, broken methods of getting your taxes done. And we are honored and excited to have the opportunity to describe TaxChat on your outstanding blog. TaxChat basically let you get your taxes prepared and filed by a real, highly qualified human being; entirely from your mobile phone (no complex software or store visit); for a low, fixed, clear fee. In other words, TaxChat is Uber for tax preparation. We built it to let millennials get rid of the headache of tax preparation – and get their refunds in the bank – in five simple steps. First, tell us about last year by answering 14 simple yes or no questions. For example, did you have a job? Did you do contract or freelance work? Were you married? We use these answers to quote you a fixed fee upfront. Second, receive your fee quote. As Chelsea can tell you from her experience, TaxChat’s fees are different from the fees you pay at a tax preparation store in two important ways. First, our fees are much lower. Second, with TaxChat, you know your total fee before you start the process; most tax stores only reveal your fee at the end of the process, when changing your mind would mean going through the whole painful process again. Our thinking is: You know the price of a product on Amazon before you purchase it, so why shouldn’t you know the price of tax preparation before you do it? Third, after receiving your fee quote and creating an account, you are immediately and automatically connected to a TaxChat Expert. The connection places you directly into chat with your Expert, in a screen that looks and works like WhatsApp, Facebook Messenger and other familiar chat programs. The TaxChat matching process works exactly like being connected to a driver with Uber. You press a button and TaxChat’s proprietary technology combs through our network of award-winning, U.S. tax professionals – many of the best in the country – and finds the one that is exactly right for you. The connection process usually takes less than five seconds. Fourth, you can upload your tax documents by taking pictures of them with your phone – documents such as your W-2 if you had a job last year, your 1099s if you did contract work, your 1098 if you had a mortgage and so on. But don’t worry about knowing what documents you have to upload – TaxChat will tell you exactly which documents your assigned TaxChat Expert needs to maximize your refund. Finally, your TaxChat Expert will use the documents you upload and information you provide by chat to prepare your return and e-file it on your behalf. TaxChat will store your return permanently, so you always know where it is – in case you need it, for example, to apply for a mortgage or for other purposes. The following chart compares the three existing methods of tax preparation – having someone else prepare your taxes (“Assisted”), preparing them yourself (“DIY”) and TaxChat. As the chart makes abundantly clear, for people in their 20s and 30s who have better things to do with their time, TaxChat is a great way to get rid of the pain of taxes – to get your refund in the door without ever setting foot in a tax office. Finally, in a couple of days, we will be launching a contest in which TaxChat will triple the winner’s tax refund. According to the IRS, the average tax refund is $3,120. Therefore, this contest will offer an opportunity to win over $9,000 – for doing something you already have to do: filing your taxes. Please check the TaxChat Facebook page or Twitter feed starting this coming Monday (April 4) for details on this contest. 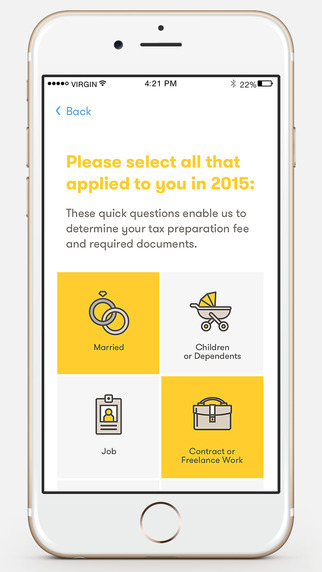 The TaxChat iOS app is available for free download here. Our website – explaining TaxChat in more detail – is here. Thanks very much for reading, and please feel free to contact the TaxChat team with any questions. Mike, our Founder and Chairman, can be reached at mpereira@tax.chat. And Steve, our CEO, can be reached at stoy@tax.chat. *Thank you TaxChat for sponsoring this post.